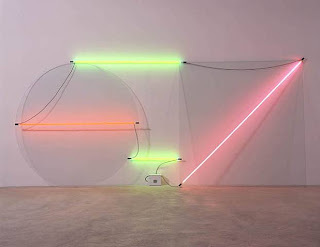 Keith Sonnier is a well known American installation artist who has gained inspiration from his home land and from his travels around the world to such places as India, China and Bali. Initially he used aterials gathered from the streets of New York and then experimentation led him to neon. 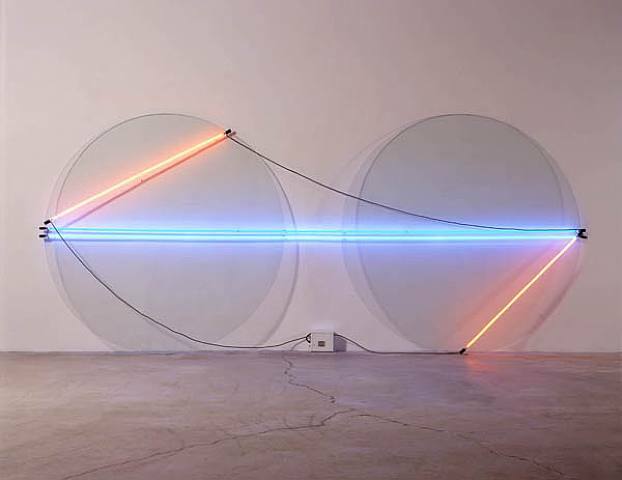 He loved the shimmering lights and strident lights of both New York and Las Vegas, both of which are present in his work. 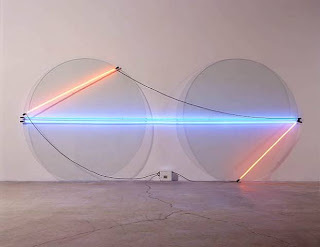 The primary colours, blue, yellow and red very much in evident in his BA-O-BA installations 1969. 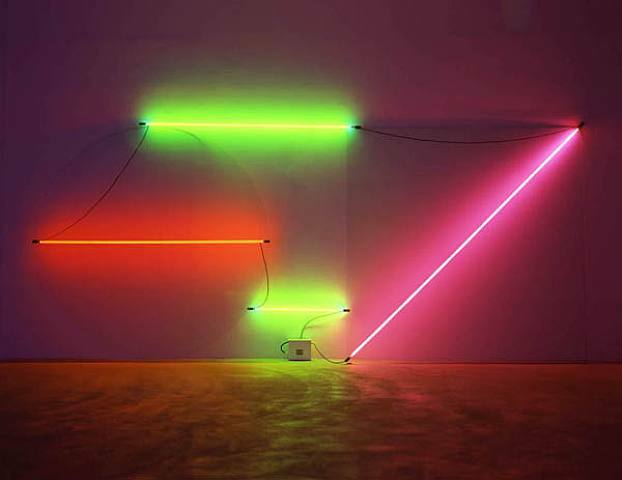 He combines the primary colours into the neon lights. 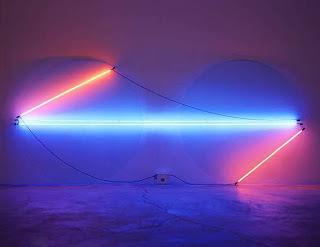 It has been said his inspiration “came one night, when, returning from an evening in his hometown in Louisiana, he noticed lights dancing through a thick fog.” His works interests me because when the wall is dark the neon lights shine so much until they escape the border of frame and merge to form different colours for the wall.